I wasn`t going to post anything today, but… I have been inspired by what I have seen in the last couple weeks. Beauty GETS me. It just makes me ache inside. When I see something hauntingly beautiful, I just want to share it with the WORLD! –Well, it`s my resting time, my time of tranquility. Here. Thinking about God`s plan for my life- and what that means today. Organizing pictures I think you might like. Talking about what I saw. Dreaming and making things look nice, etc. Micheal Buble is singing Me and Mrs. Jones to me, in the background… (In case that sounds scandalous, I believe ‘Mrs. Jones’ to be his wife). And now I will share the best of what I came across today. Natural elements, French vintage, old world glam. Hopefully it will make you feel refreshed today. 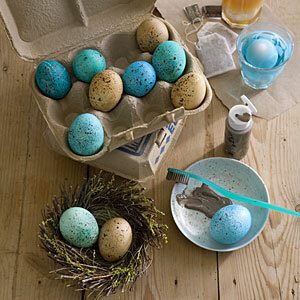 Check out these prettiest ever Easter eggs you can make for your family! I think this is the article I read that most impacted me on how do design a home that was uniquely me– without spending a lot of that cash stuff- that most of us don`t have. Even if you don`t like the style of the store she uses as her illustration- you will still get inspiration from what she has to say. Here`s a list of all her wisdom. Twig Hutchison– I present to you, an online PICTURE BOOK from Twig H. When you get there, click on ‘Portfolio’. And from there use your mouse to turn the pages… Oh….wow. Here I will send you to Dreamy Whites. I have always wanted to feature a link to her. Her stuff is.. no words… but yesterday she did a post called Maison Reve. It is so exactly what I like, my head hurts. I was inspired by this mantel a few weeks ago, to re-do mine… Looks better, I have to say. These Crazy Love clips by Francis Chan are great to listen to while ironing. And they just might change your life. As long as I live, I will not forget this kitchen redo I saw long ago… I need to re-read it again, but I think she did the whole thing for under 20 bucks? I love her style! Here are two gorgeous “white blogs”– I adore what these woman have done… First and second. Oh and btw- unless Google offers to translate, you won`t be able to read them. I like it- it makes them seem so mysterious and cool. 🙂 Oh and here is another pretty white one. HOW COOL is this memo board by funky junk? I like it “lots”.